One of my favourite places in the city, says this Toronto girl. I agree! And it's great to hear from a fellow Torontonian, thanks for stopping by. Thanks for this post. I was totally unaware of this garden. And thanks for making the images large enough that we can expand them to see what's going on in the denser plantings. I wonder if my dislike of the path paving is a personal prejudice. The manufactured stone turns me off for some reason, but the plantings are beautiful. 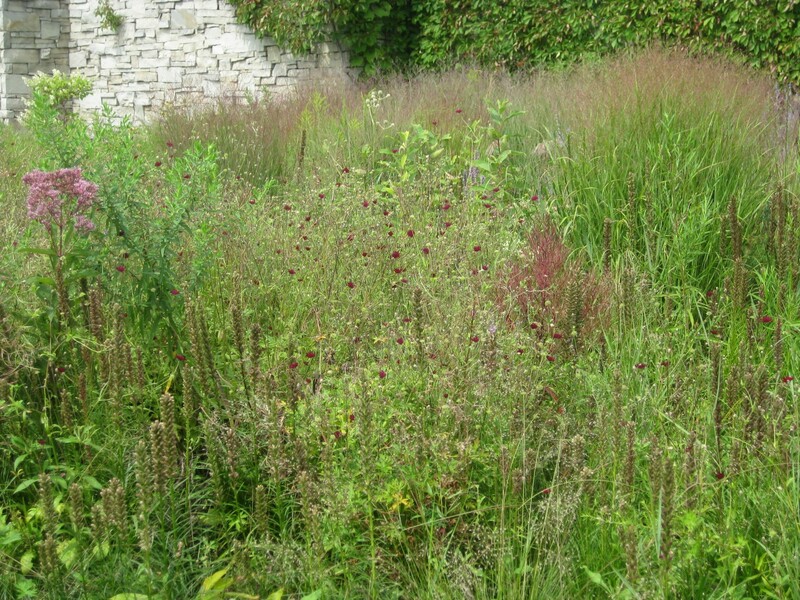 Yes, it's not one of Oudolf's higher profile projects, but one that Toronto is certainly grateful for. And thanks for your point regarding the paving, I definitely agree with you. More interestingly, your comment made me realize that I never really noticed the paving in real life... if I had to describe it based on memory, I would have guessed large stone slabs! I was actually surprised when I looked back at the pictures and saw the manufactured stone. Normally I think I notice nice paving, but in this case, it seems that I just blocked it out. When you're there in the garden, the planting is so rich and powerful that the paving doesn't command nearly as much attention as in the pictures. Though I agree, I think the garden deserves something nicer - I would guess it was probably a budget issue. Hello Garden Wanderer, I just stumbled across your blog, and now I can't wait to delve into your archive! It's a gem, I salute you! Thanks for sharing. Hi Sally. Thank you very much for stopping by and the kind words of encouragement. I also really enjoyed looking through your work - you have designed some beautiful gardens. If you ever need a helper, the south of France is one of my favourite spots! I stumbled upon your blog, nice post about the TBG and the entry walk. It's magical in the fall, as you show, and it's less busy too. The Toronto Music Garden is also a special place for plant lovers in Toronto, perhaps you have a few photos too (smile)?